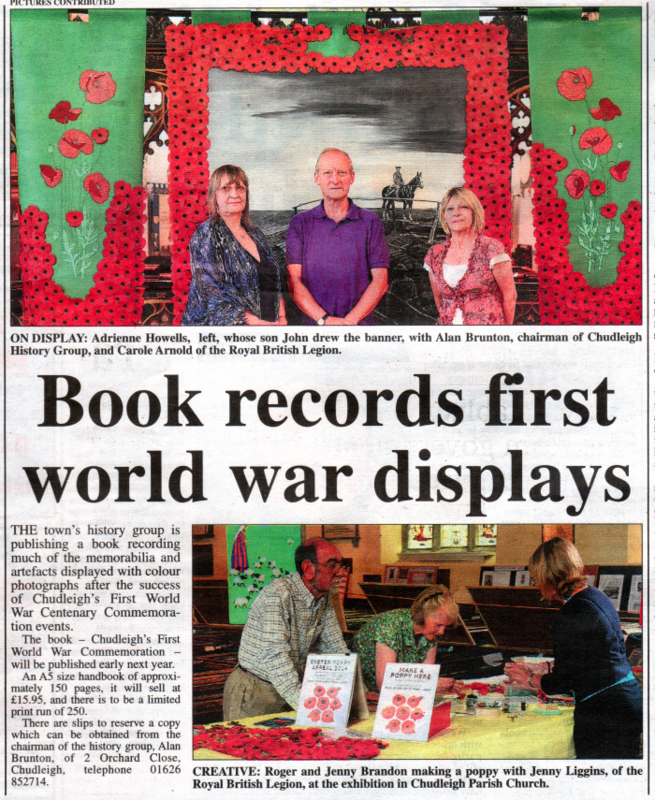 During Setember 2014, CHG staged an exhibition in the church commemorating the start of WW1. This MDA article of 10 October noted the planned publication of a book. 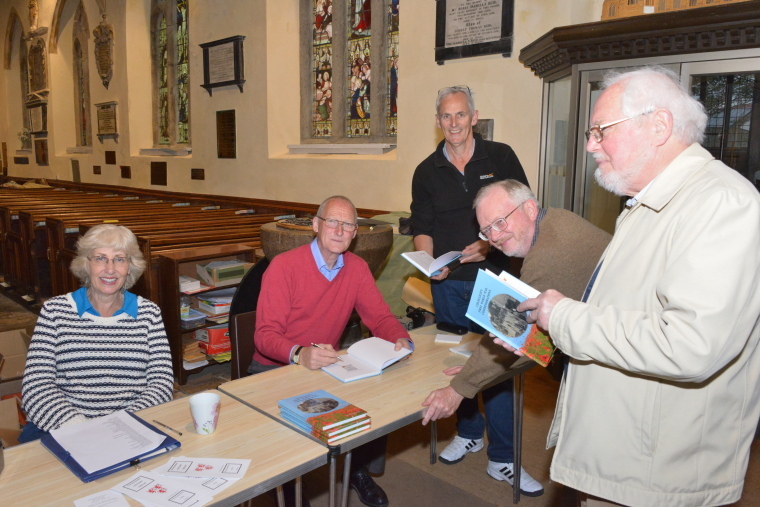 This book – Chudleigh's First World War Commemorations – was published the following year, with a formal launch and signing event in the church on 24 April 2015.